We are an experienced team of serious paranormal researchers and have arranged hundreds of Investigations both with other groups and as individuals since 1999 including organising and hosting public charity ghost nights. We are also Authors of multiple paranormal related books which have been published and released by The History Press! The Reel Cinema Plymouth, previously known as the ABC cinema is situated at Derry's Cross. On the 11th April 1937 Plymouth’s old Theatre Royal was demolished and in its place arose The Royal Cinema owned by the Associated British Cinema’s (ABC). The Cinema opened on the 15th July 1938. The ABC is one of only a handful of buildings that survived the Plymouth Blitz during the 2nd World War. The world famous Liverpudlian band ‘The Beatles’ performed on stage at the ABC on Wednesday November 13th 1963. 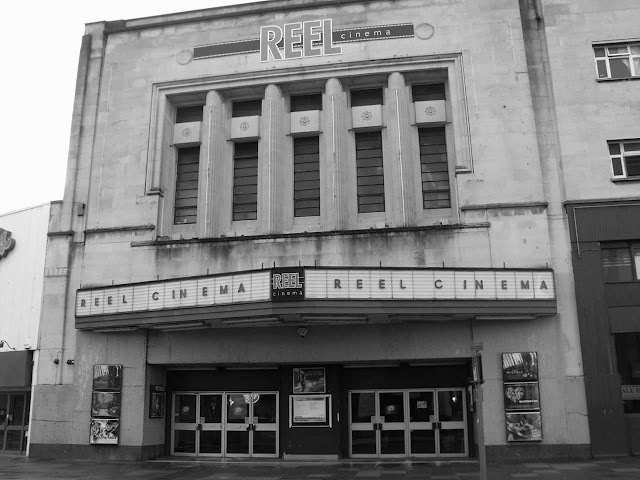 Today Reel Cinema is renowned to be a very haunted location. In recent times a wide array of paranormal activity has been witnessed first-hand by both the Cinema’s staff and paying customers, therefore it is no surprise that a number of paranormal investigations have taken place at this location. The entire area of Derry’s Cross where Reel Cinema is situated today is also known to be paranormally active, there is documentation stating that within this small area at least three burial grounds were indeed located here. One of these old burial grounds was used as a final resting place for a number of Napoleonic prisoners of war. It is also quite common for building ground works in this area to be stopped and delayed, due to the wide collection of human remains that have been unearthed. Screen 2 within the cinema seems to be one of the most active areas, as the full manifestation of a woman in white has been seen at the back of the screen room. Also another female has been sighted in a particular seat on one of the front rows also in screen 2 – although during the viewing of film’s people have been left puzzled as the woman vanishes and is nowhere to be seen. A number of paying customers have indeed sat in this very seat that is sometimes occupied by this phantom female, afterwards commenting on feeling watched, uneasy and sometimes becoming suddenly quite ill therefore leaving screen 2. The ladies toilets are reported to be very active with feelings of being watched, to people experiencing poltergeist activity, loud explainable noise’s to name a few whilst spending time in this area. Dewerstone is steeped in history as it is the site of an Iron Age hill fort which overlooks the river Plym. 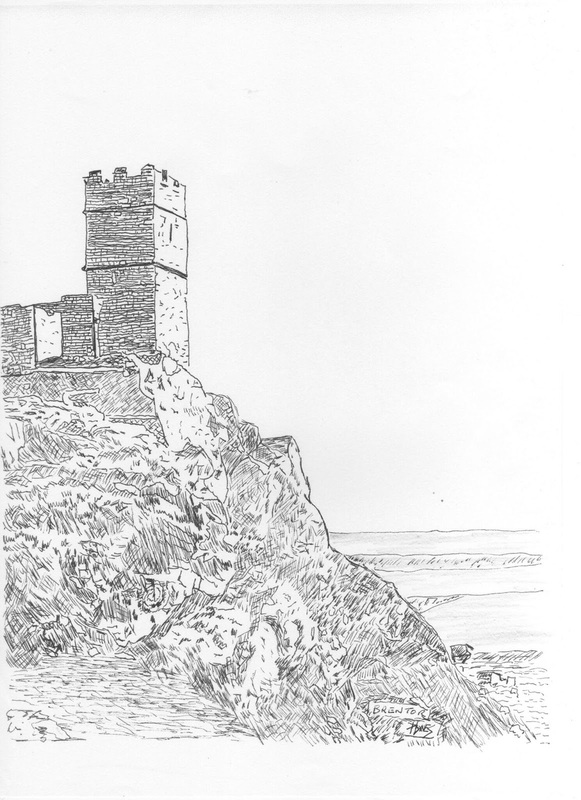 The notorious Dewerstone is an imposing rocky outcrop with the name Dewer; in ancient Celtic this means “Devil”. Legend states that the devil himself is said to charge across the haunted realm of Dartmoor each night leading towards Shaugh Prior and the Dewerstone. The devil is known to chase lost travellers across the moor to meet their imposing death by being chased by the eerie haunt and falling 150ft from the devils rock straight off the top of the Dewerstone to their deathbed. This area is a well visited beauty spot with the majority of visitors unaware of the spine chilling encounters that have been witnessed in the past by those unfortunate to have encountered the darker side of the moor. Legend states that anyone who catches a glimpse of the Dewer and his pack of wist hounds will be dead within the year. One well known legend states that a local farmer was returning home late one evening from The Warren House Inn, when all of a sudden out of the vivid darkness he saw approaching the menacing skirmish of a hunter being accompanied by gigantic hounds with glowing eyes penetrating through the swirling mists. The farmer halted his horse as the huntsman drew closer, with enough confidence he enquired as to whether the dark cloaked huntsman had had a good night’s hunt, to which the cloaked figure tossed a small bundle towards him. The farmer did not ponder and hurried back home to unravel the bundle. Once he had dismounted from his horse he carefully unwrapped the small bundle only to find a hideous sight of the farmer’s dead infant child. Coffin Wood is situated within the Lydford parish of Dartmoor, it was customary to travel upon tracks and pathways to carry the deceased across the moorland to their burial place at Lydford church. This sombre journey incorporated the deceased being unwrapped in a shroud and flung over horse back and taken to the area known as Coffin Wood. This was undertaken as the journey was indeed dangerous and it was deemed an easy option with the deceased being transported upon a horse rather than being placed in a coffin. 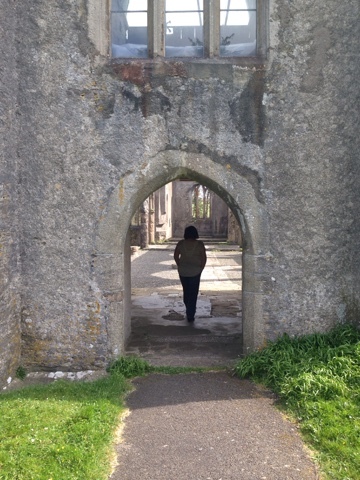 Upon arrival the deceased would be transferred to a wooden coffin to then be transported the remainder of the journey to their resting place at Lydford. Even today within this ancient wooded area there have been full blown apparitions of the ghostly procession of shadow like figures following a single horse with an eerie sighting of a figure of someone slung over horse back. On stormy dark nights it is not uncommon to sight the flicker of lanterns within Coffin Wood and the sound of mumbling voices have been heard. It was also customary during medieval times that the corpse of the deceased was to travel to its place of resting via river crossings as it was told that spirits could not cross open rivers or streams. It is therefore intriguing to know that Lych way (Lych meaning Corpse in ancient Anglo Saxon tongue) was the route the deceased took. The journey involved crossing a number of major rivers and streams on route to Lydford. Another folk lore tale associated to Brentor is that the church was attacked by the devil who tried his upmost to cease the building of the church by stealing the foundation stones, although legend states an archangel intervened and threw a gigantic granite rock at the devil which struck him between the horns. Brentor its self is located upon the well-known ‘ley line’ which is said to start at Land’s End in West Cornwall and continues through Brentor and onto Glastonbury in Somerset. 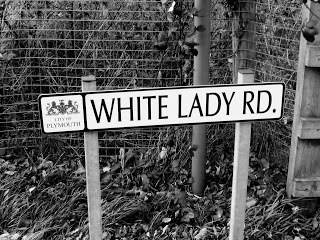 'The White Lady of Radford is probably the most well known of all the ghosts that are said to haunt this very area. The suspected ghost is a former resident from the old Radford House. There are several different ghostly tales referring to who this phantom female is and where the haunting originates. One legend states that during one particular summer dating back over many years, the lady in question secretly escaped from Radford House to meet up with her female acquaintance from a nearby village. Although the young lady was forbidden by her parents to meet with her friend due to the vast gap between the gentry classes and that she should not be mixing with anyone of a class below her due to being a lady of Radford House. This very rendezvous was to end in disaster. The young lady was assisted to her escape by one of Radford’s servants. Free from the safety of her home she headed straight towards Radford Lake where she was united with her close friend. Upon the boating lake a tragic turn of events occurred as whilst in one moment of pure chaos the young lady fell overboard from her small wooden vessel, unable to swim and being weighed down by the material of her heavy white dress, which had become saturated by the lake. 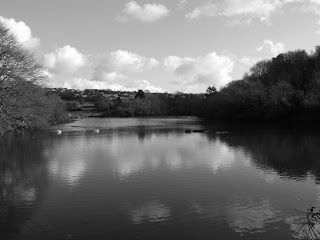 She slowly slipped into the dark waters of Radford Lake her lungs filling with cold fresh water. This was to become her watery grave. Although the fable does not end hear, as the phantom presence of the White Lady has been sighted by many individuals over the years upon the ancient lake. Her ghost has been spotted sitting upon the bank of the lake. It is also believed that she is the spectre that has also been sighted wandering aimlessly around the grounds where the old Radford House once stood. www.supernaturalinvestigations.org.uk. Awesome Inc. theme. Powered by Blogger.